The Davinci Ascent is by far my favorite portable vaporizer. From the smooth vapor to the precision temperature control this vape goes where you need it to. The Davinci Ascent isn’t all looks though, underneath that sleek exterior is an arsenal of battery power and vaporizer technology. After using the Davinci Ascent for about a year now, I am becoming increasingly certain that this is the last portable vaporizer I will ever need to buy. 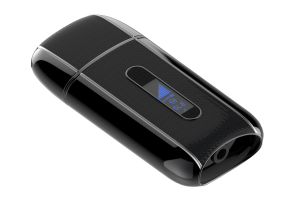 In this Davinci Ascent review I will cover the pros and cons of the Davinci, its main features, how it compares to other leading handheld vaporizer technology and how to get the most out of your Davinci Ascent. Customizable Design – Choose from 5 stylish designs, or make your own. DaVinici designed the Ascent to fit perfectly in pocket, as it is smaller than an Iphone. The Ascent is equipped with two lithium ion batteries giving it roughly four hours of use or 10 sessions of vaping on a charge. The Side loading design makes loading and cleaning the portable vaporizer chamber easy and hassle free. Flexible in its design and function the Ascent will do what you need it to. The model has been noted as delivering one of the most flavorful vapor experiences of the all the portable or handheld vaporizers available on the market. Taking only a minute to get to temperature you’ll be vaping in no time. The temperature range begins at 0° and extends up to 430°F (212°C). This wide temperature range allows for the vaporization of a wide variety of Botanicals and blends. The Da Vinci Ascent is fitted with an OLED screen to notify of heat settings, current temperature, Heat Sequence cycles and battery life. Although the battery display could be improved, as it only displays battery life in quarters, the other features more than make up for this. Many advocates of vaping have discovered vape stepping or vapor stepping, or starting out at a lower temperature and stepping up a few degrees at a time. This allows the user to get the more flavorful milder vapors of the lower temperature range and work up to the more robust thick vapors of higher temp ranges. The Ascent allows you to experiment by programming in your own sequence of timing and temperature changes allowing you to fully experience your plant and herbal materials. The Ascent sets a new standard in hand held portable vaporizers with an all glass air path for the purest vapor, Sleek stylish design to accommodate your life style. Weighing in at 7 oz. The Ascent has all the benefits of portability with which Da Vinici Brand has made itself known. The Materials used in the construction of the Ascent are all of the highest quality. The body of the ascent is brushed aluminum and its components are chambered in medical grade silicone. Da Vinci took extra care in the design of the bowl or vape chamber in making it a glass lined ceramic bowl. This is one of the Areas that sets the Ascent apart. The Ceramic chamber is designed to evenly heat plant and herb materials as well as oil based materials. The Face-plate of the Ascent comes in Stealth, Burl Wood (real wood face plate), Carbon Fiber, Croc Skin and for a limited time a Skulls pattern. Da Vinici has recently made available a customizable vape design allowing you to create the vape built for your life.Each Ascent Unit comes with a two year warranty. In a common drop test of the Ascent a unit was dropped repeatedly onto asphalt. After several drops the unit only sustained minor scuffing and retained perfect functionality. Note: The unit was only dropped with its mouth piece recessed. If the unit is dropped with the glass mouth piece out the chances of breaking are far greater. 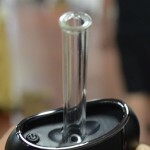 Da Vinci is proud to pioneer the first portable glass vaporizer. The glass on glass design of the air path eliminates contaminants and offers the purest vapor available. If anything were to happen to the glass pathway inside the handheld vaporizer a second pathway comes with the unit making any future repair effortless. After reviewing several hand held portable vaporizers this is definitely one of the best handheld vaporizers of 2014. 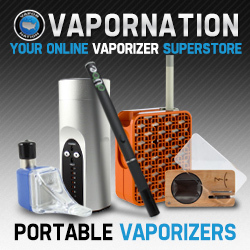 Many other vaporizer technologies rely on what is called convection heating. This is when a heating element rises to temperature and this heated air is pulled, by fan or mouth suction, over plant materials to vaporize them. In the Ascent model.. the ceramic bowl design is used in conjunction with a heating element to use conduction heating. This ensures even heating of the material and reduces the need to stir the material to fully vaporize it. This also allows for materials to be packed more tightly into the bowl piece as opposed for the need of loose material in convection style vaporizers. 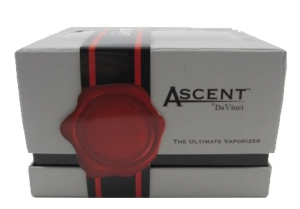 With features such as Digital Temperature control, a Removable Glass Mouthpiece, Premium Grade Materials, and a 4 Hour Run time, The Ascent Personal Vaporizer by DaVinci is sure to be a perfect fit for both novice and expert patrons alike. 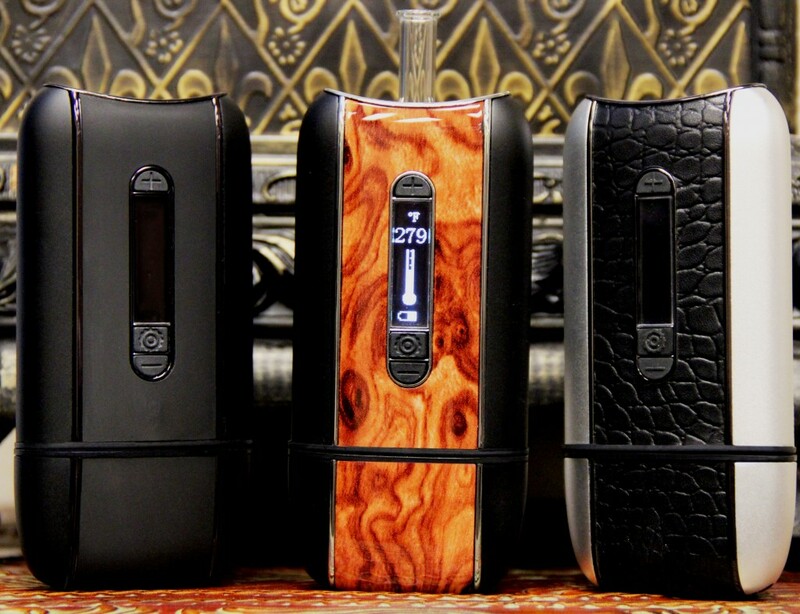 You can pick up your Davinci Ascent direcly from DaVinci. just click the link below.